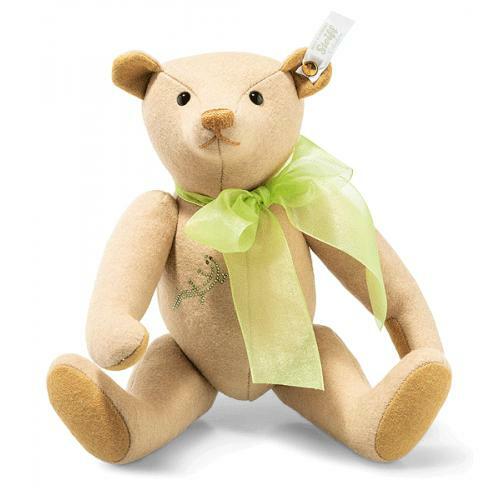 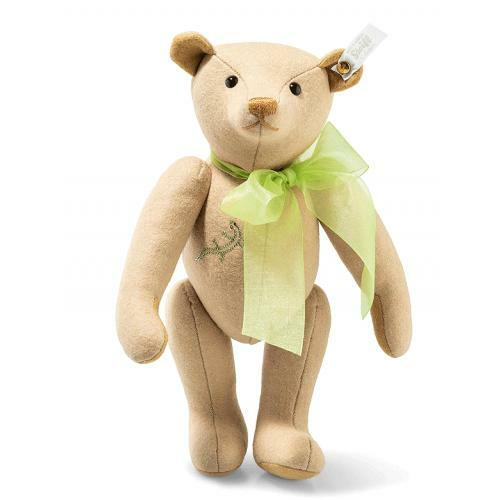 The Steiff Club 2019 Teddy Bear is made of finest cappuccino wool felt together with a green voile bow. 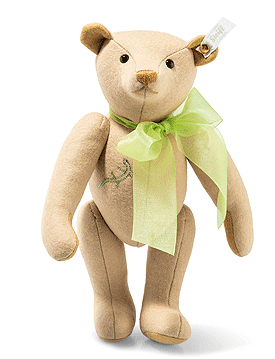 This is the first club edition bear to feature the new grey ear tag. 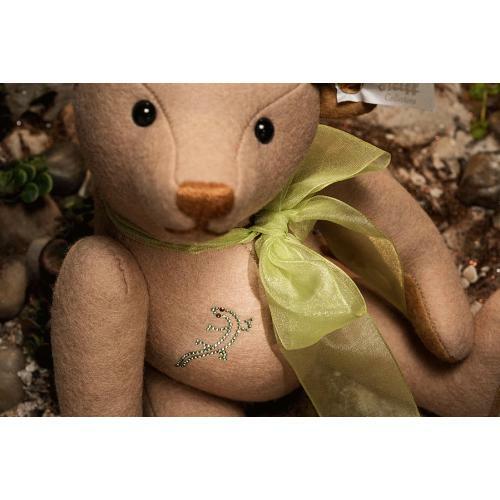 Limited edition of 1250 pieces.